The Komodo T8 reflectors can literally double your UVB output, utilising all off the tube as they reflect all light back into the terrarium. Komodo T8 Reflectors help to double the UVB output of any UVB light tubes. By reflecting all light from the tube back into the terrarium, they ensure that 100% of the light is utilised. These are an essential piece of equipment when using UVB tubes, using these reflectors your animals will gain maximum exposure to the UVB they require. 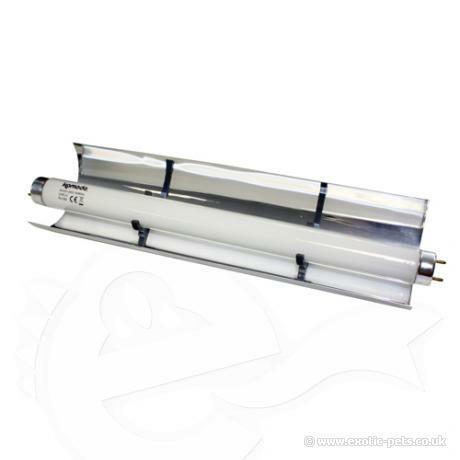 Note: Reflectors are normally shorter than the UVB tube itself allowing room for the light starter fittings.